is a clinical-researcher, author and expert in the field of longevity, aging and Alzheimer’s disease. 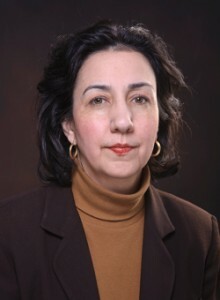 She is Co-Leader of the federally funded (NIA) Rush Alzheimer’s Disease Center Clinical Core in Chicago and an Associate Professor in the Department of Neurological Sciences at Rush University Medical Center. She obtained her medical degree from the Rosalind Franklin University Chicago Medical School, completed her Neurology Residency at Henry Ford Hospital in Detroit, Michigan and Aging followed by a Neurodegenerative Disorders Fellowship at the Rush Alzheimer’s Disease Center in Chicago. Because of her expertise in minority health and wellness issues, recruitment and retention of minorities in observational, clinical drug studies and brain autopsy studies, she was elected to represent Rush on the NIA Alzheimer’s Disease Cooperative Study Group (ADCS) Steering Committee.